Home Antivirus How to Completely Remove Avast SafePrice Extension from Any Browser? Latest Avast Free Antivirus 2017 includes lots of other Components which gets installed along with the Avast Antivirus. To name a few, it includes Avast SafeZone Browser, Avast SafePrice Extension for Internet Browsers are many such others. These components are sometimes helpful while most of the times they are annoying and not that important. Also, it’s not that easy to remove such components once installed as Avast gets a good control over the system. Well, we were asked with queries like How to Remove or Uninstall Such Components Permanently, here we will be sharing methods to Remove Avast SafePrice Extension Permanently or Completely from any Internet Browser. 1.1 What is Avast SafePrice? 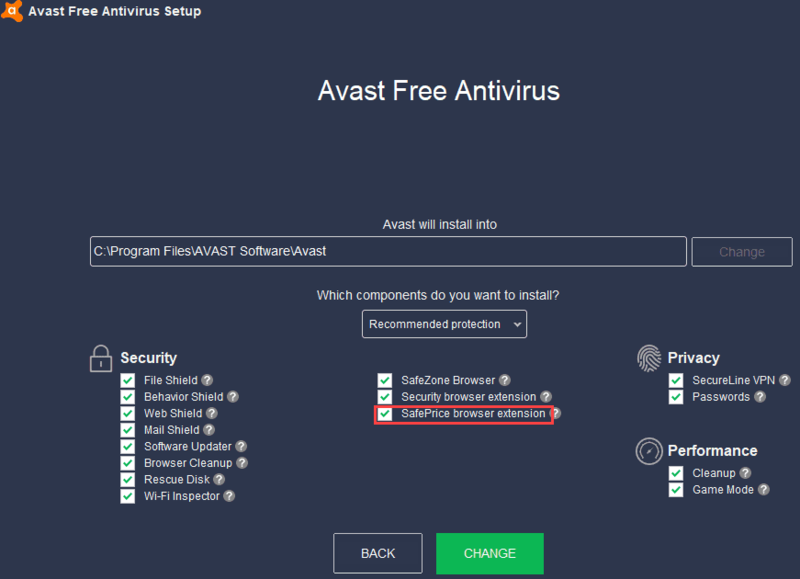 1.2.1 How to Remove Avast SafePrice using Avast Components Uninstaller? 1.2.2 How to Turn Off Avast SafePrice by Changing Programs? 1.2.3 How to Disable SafePrice Browser Extension from Internet Browsers? 1.2.3.1 How to Remove Avast SafePrice from Google Chrome? 1.2.3.2 How to Remove Avast SafePrice from Firefox? Also, we have already Shared How to Remove Avast SafeZone Browser Completely and Permanently. Yes, it’s one more Avast Components that is just like any Internet Browser. You can check our guide to Remove Avast SafeZone Browser from your Computer. In this guide, we will be just focusing on How to Remove or Uninstall Avast SafePrice from any Browser like Google Chrome or Firefox. Short Answer: Avast SafePrice Extension is an Internet Browser Extension or Add-on which gets installed on your computer as an extra component along with Avast Antivirus. 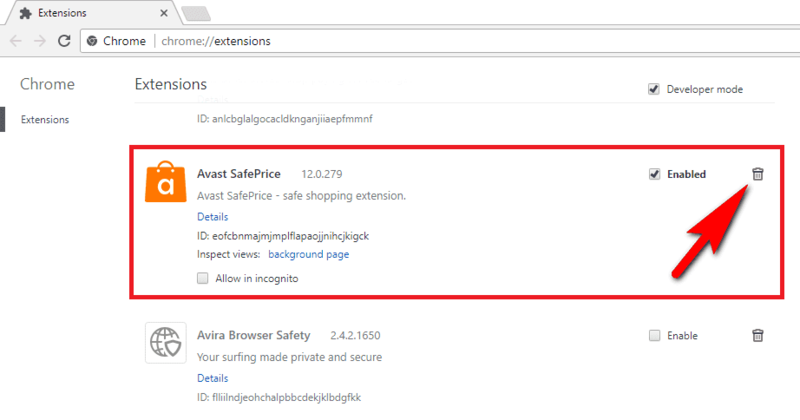 Avast SafePrice acts like a tool bar or sometimes as a popup when you are surfing any E-commerce website. It prompts with Offers or Low Price Product Suggestions. 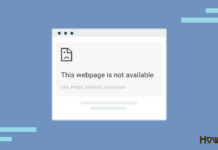 So due to its prompt nature or extra unwanted bar which gets added to most of the shopping site becomes annoying and disturbing for the users and hence they think to get rid of Avast SafePrice. Avast is one of the Best Free Antivirus for 2017 which we included in the list earlier. So most of the users are using Avast as a Free Antivirus to protect their Computer, Files and Data from Threats, Viruses, Ransom, etc. So if you have installed Avast Antivirus, then probably, you have also installed few number of extra Components along with Avast install. You might not be knowing this fact but yes, when you were installing Avast, it was promoted to choose which components you want to install and probably you might have skipped to have a look at that screen and finally you installed it. People also purposefully install Avast SafePrice Extension to try it after checking out its features and functions or recommendations from their friends or anyone else. If you are feeling odd with Avast SafePrice and thinking to remove or uninstall it permanently, then just go through the guides below! If you are one of the victims of Avast SafePrice Extension and want to Remove Avast SafePrice or Disable Avast SafePrice or Turn Off Avast SafePrice Temporarily or Permanently then just follow any of the given methods. 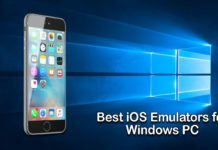 The listed guides are tested and working fine as of this guide publishing date. Solution 1 – Remove Avast SafePrice through Avast Components Uninstaller. Solution 2 – Remove Avast SafePrice by Changing Programs. Solution 3 – Disable Avast SafePrice Extension from Internet Browsers. Let’s check each of the solutions one by one. You can check all the solutions and go with the one which suits you or in which you are comfortable. How to Remove Avast SafePrice using Avast Components Uninstaller? 2. Click on Settings option and select Components. 3. 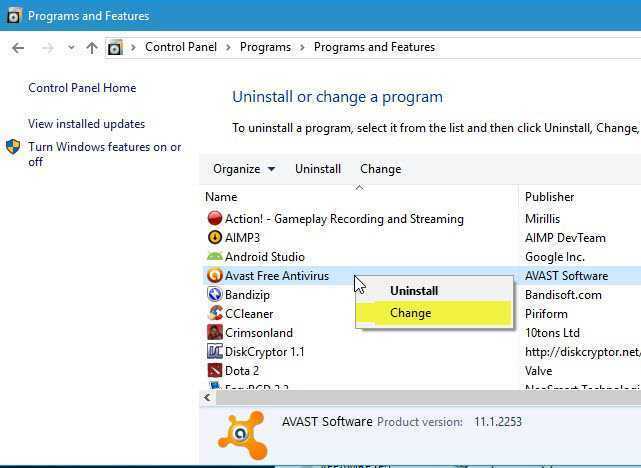 Now you will see a list of Installed Components of Avast along with uninstalling option. Just find SafePrice Browser Extension and click on Uninstall Component. 4. That’s it. Now just restart your computer for changes to take effect. How to Turn Off Avast SafePrice by Changing Programs? 2. 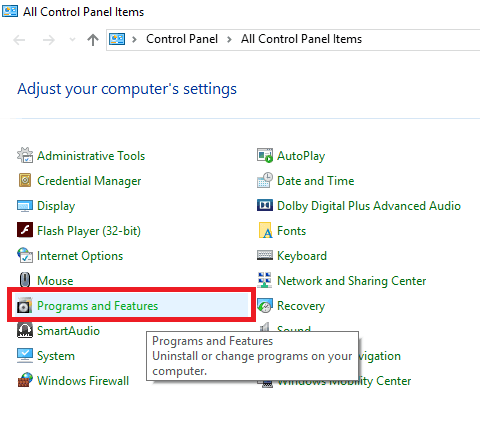 You will see a List of Options, just find Programs and Features option and click on it. 3. You will see a New Screen Prompt with the list of all the installed software and tools on your system. In the list, find Avast Free Antivirus, Click on it and then Right Click on it. 4. You will get two options, Uninstall and Change. Select Change option. 5. Now you will be prompted with the Avast Components install screen. You will see a list of all the Components of Avast that comes along with it. Select/Deselect as per your choice or need. In this case, just deselect SafePrice Browser Extension from the list. 6. Lastly, click on CHANGE button. That’s it. Now just restart your computer for changes to take effect. So this was the easiest and recommended method to completely Uninstall or Remove Avast SafePrice Browser Extension from your system. 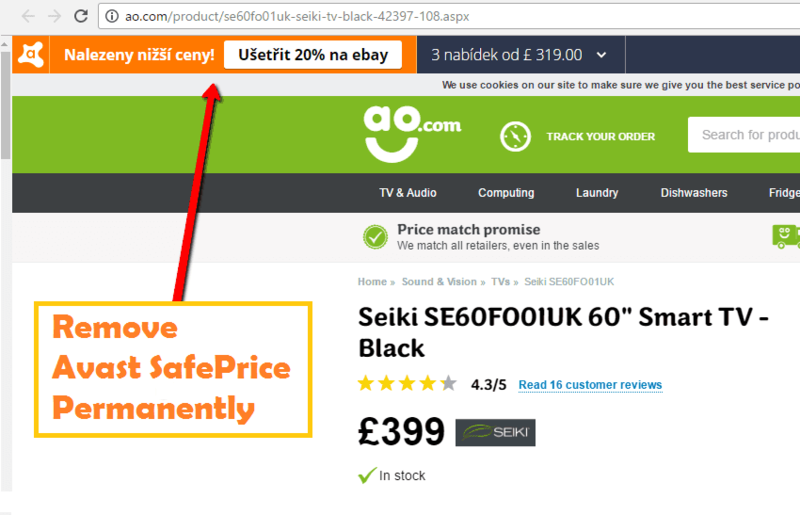 How to Disable SafePrice Browser Extension from Internet Browsers? How to Remove Avast SafePrice from Google Chrome? 1. Open Chrome Extensions Manager Page in Google Chrome Browser. You can copy chrome://extensions and paste it in the address bar of Google Chrome to open Chrome Extension manager. Note: If you wish not to delete the SafePrice Extension but just Disable it then just deselect the Enabled option. This will Disable Avast SafePrice and not delete it. How to Remove Avast SafePrice from Firefox? In Firefox, Avast SafePrice is installed as an Add-on to the Browser. It’s just like Extension. You can get rid of Avast Safe Price and Permanently remove or disable it easily. Here’s How? 1. Open Firefox Browser, Click on Menu and Select Add-ons Option. 2. You will see the list of installed and available Add-ons on your Firefox Browser. Just scroll and find Avast SafePrice Add-on and click on Disable. So this will Disable the Avast SafePrice Extension or Add-on but to permanently delete this Add-on from Firefox, we will have to remove one file from the Installation Directory. 3. Now navigate to the directory “C:\Program Files\AVAST Software\Avast\SafePrice“. You can navigate easily through Run tool. Just press Ctrl + R and Enter the directory to navigate and press Enter. The specified directory will pop-up. 4. In the same directory, you will find a folder named FF. Just select and delete that folder from the directory. That’s it. Avast SafePrice Browser Extension or Add-On is Permanently Deactivated or Removed. 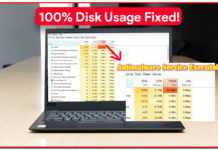 ALSO READ – Service Host Local System using all your resources? Fix Now. These were the easiest working solutions to Remove Avast SafePrice Browser Extension or to Disable Avast SafePrice or to Turn Off Avast SafePrice temporarily or permanently. Hope the provided solutions work for you. If you have any doubt then just jot them down in the comments. See you soon in the next guide, till then keep visiting, sharing and chilling.